French photographer Réhahn, renowned for shooting portraits of people from ethnic minorities in Vietnam, has denied allegations that he took advantage of ethnic children to promote a gallery he runs in the central city of Hoi An. The accusation was made by a Facebook user who claimed the 39-year-old photographer had sponsored a trip to Hoi An for 30 children from the Central Highlands province of Dak Lak only to use them as a marketing stunt. Prior to the trip, which took place in November 2017, Réhahn had promised that the children would be taken to popular attractions in the resort city using his money, according to the female accuser. “However, they were in reality forced to deliver art performances, serve as photo props and attend events at his gallery in Hoi An with a tight schedule,” she wrote on the social media site. Despite having promised to cover all travel costs, Réhahn only provided the children with “barely enough money to buy drinks” during the entire trip, she added. It is not clear why the Vietnamese decided to disclose the story as late as eight months after the alleged incident. An ethnic girl in Vietnam is seen in this portrait taken by French photographer Réhahn. 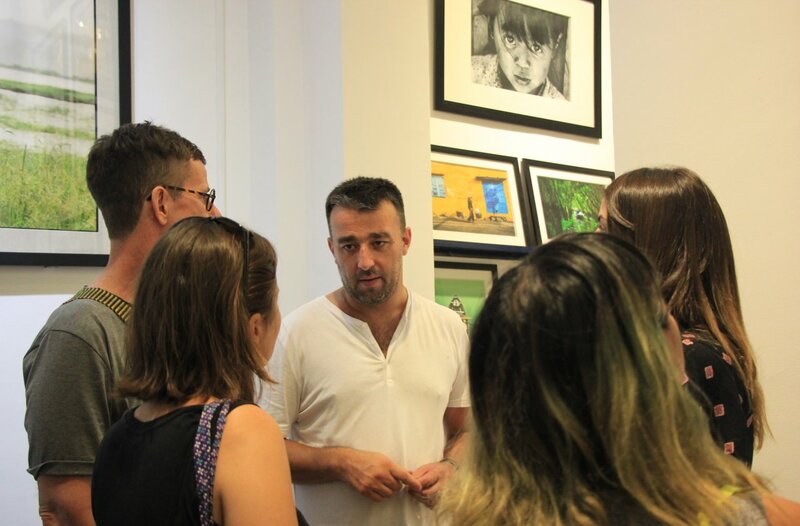 Responding to the allegation on Sunday, the Hoi An-based photographer insisted he did not treat the children as tools to advertise his arts gallery. According to Réhahn, the children all come from poor families in Dak Lak whom he had photographed during a trip to the Central Highlands region of Vietnam. He extended an invitation for them to visit Hoi An on his own money as a gesture of goodwill, he stressed. The French photographer said the activities the children joined at his gallery were not for profit, and that he only wanted to give them an opportunity to interact with supporters of his portraits. Réhahn’s assistant Dinh Giang has taken responsibility, citing her "lax oversight" and "failure to make it clear with the manager of the children." Giang said she had worked with the tour operator to resolve issues concerning the children’s comfort during their trip. Réhahn underlined that all his artistic works in Vietnam are inspired by his passion and love for the country and its people, and that it is not something he does for money. The photographer said he is investing in the construction of a museum dedicated to the Katu people in the central province of Quang Nam, as well as preparing for the publication of a photo book about Vietnam’s 54 ethnic groups. Réhahn currently runs two galleries in Hoi An and Ho Chi Minh City, where he showcases photos he takes of people and lifestyle in the Southeast Asian country.